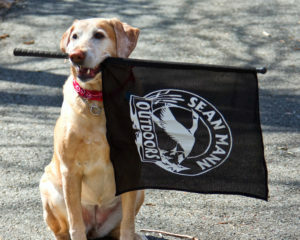 Eastern Shore Guides have used square black flags to attract geese and ducks for over 50 years. They are DEADLY! They get bird’s attention and bring your decoy spread to life. This flag is easy to operate, durable, and requires no assembly. Simply flip the flag “Figure 8 Style” like the checkered flag at Daytona. Flip it hard to get distant bird’s attention, and whenever you need to keep their attention on their way to your decoys. Mix it up! Try different speeds and pay attention to the bird’s reactions. They will tell you what to do!